For users who wanted more storage, the update will enable them to plug an external hard drive (USB 3.0 HDD) to the system through USB and use it as storage. This is compatible with HDDs up to 8TB in size. You can download and install applications directly to your extra storage, and the saved contents are easily manageable through the settings menu. 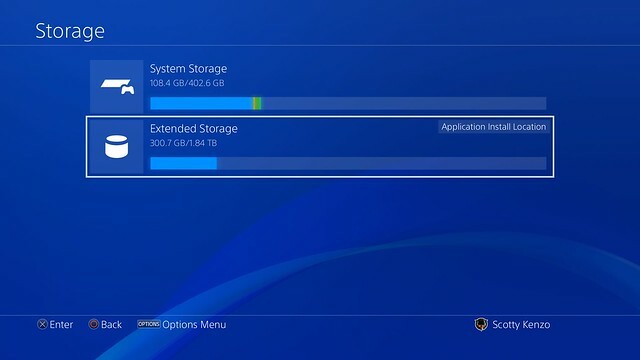 It is important to note that user saved files are still stored locally on your PS4 HDD. Only games and applications are stored on the external hard-drive. 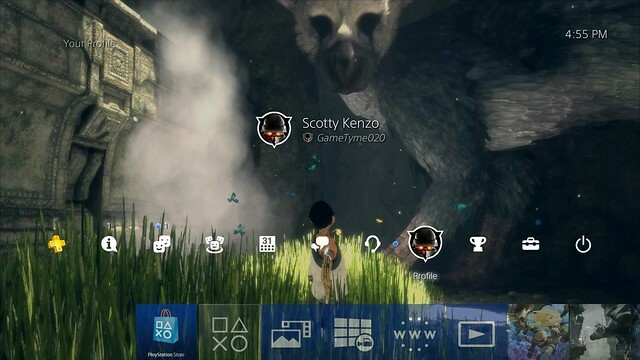 The new update also gives users the ability to set in-game screenshot as the background image for PS4’s home screen. Drop-shadows on text, and the option to dim the Function Area, will help keep the system icons and texts on the home screen clearly visible even if the background image selected is bright. Screenshots can also be edited using Photo Mode in Sharefactory to make your one-and-only custom wallpaper. The update also lets PlayStation VR users view 3D Blu-rays inside the headset, and it will improve the quality of 2D images like the system’s home screen when using VR. Also, the resolution of Cinematic Mode on PS VR will improve — if your PS VR screen size is set to Small or Medium, the frame rate of content viewed in Cinematic Mode goes up from 90Hz to 120Hz with this update. The update also adds voice chat when using Remote Play on Windows PC, Mac or an Xperia device. According to Sony, this is especially useful if you’ve got a gaming session planned with your friends, but you’re away from your system. You can switch your mic on and off via the microphone icon on the Tool Bar of the Remote Play app. PlayStation 4 Pro owners will get Boost Mode. This will let older PS4 games that weren’t designed with the Pro in mind still get a boost in performance from the updated console’s improved hardware. This could provide a frame rate improvement or to many games. You can turn on Boost Mode by going to Settings > System. It is important to note that Boost Mode is not guaranteed to work with all titles. 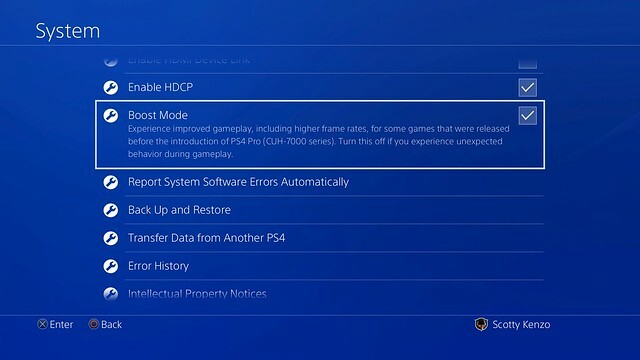 Turning the setting off will allow the game to be played in a mode that replicates the standard PS4. Other new features added includes, an update to the PS Messages and Communities app, Simplified notification list, quick menu refresh and also the ability to post directly into the Activity Feed, which appears in a variety of places across the console. You watch the video below for more. Just downloaded it, about 392MB or so, not up to 400MB. I liked the look of the former notifications as well… Everything is now merged into one now and it’s kinda confusing.